It is a unique machine that is characterized by its versatility, being also an excellent option for those who need to take advantage of space. 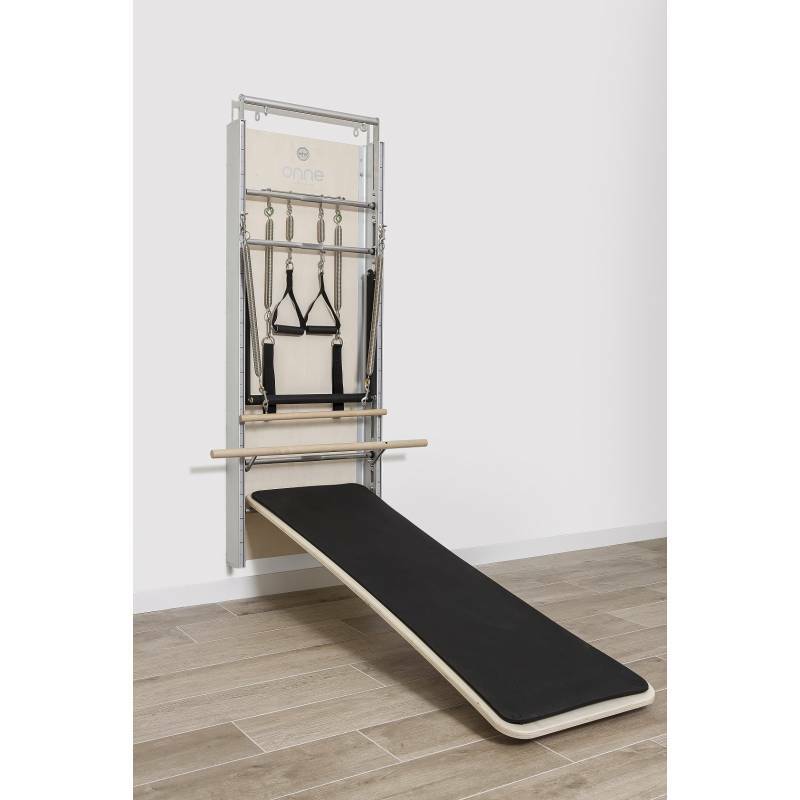 Experience has always been a determining factor when creating innovative Pilates machines and, in the development of the ONNE Wall Board, it has been more important than ever. The combination of the experience of the well-known Pilates trainer Eva Espuelas and the know-how in the manufacture of Elina Pilates have resulted in a new machine capable of satisfying the needs of the most demanding. Versatility, elegant design, dimensions, adaptability and ease of use are just some of the features that can define this unique 100% Spanish manufacturing product. Revolutionizing the concept of the traditional Wall Board, the use of space offered by ONNE allows Pilates machines to carry out the work of larger groups, as well as incorporating new elements that multiply the functionalities of its use, offering the user the possibility to enjoy 5 machines in one. 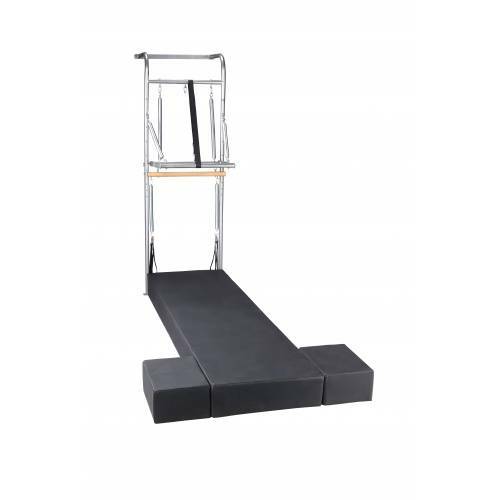 In addition to its careful aesthetics and systems of adaptability to the specific measures of each person and training, ONNE is a unique machine that incorporates performance for the work of different machines such as the Cadillac, PED-PULL, leaning platform, ballet bar and training in suspension, obtaining with all of them an exceptional performance, since all the training components are worked on. LEANING PLATFORM: maximizes results because it provides the realization of exercises in this plane making them more complex depending on the degree of inclination to be exploited, getting adaptations that can’t be developed in the ground. 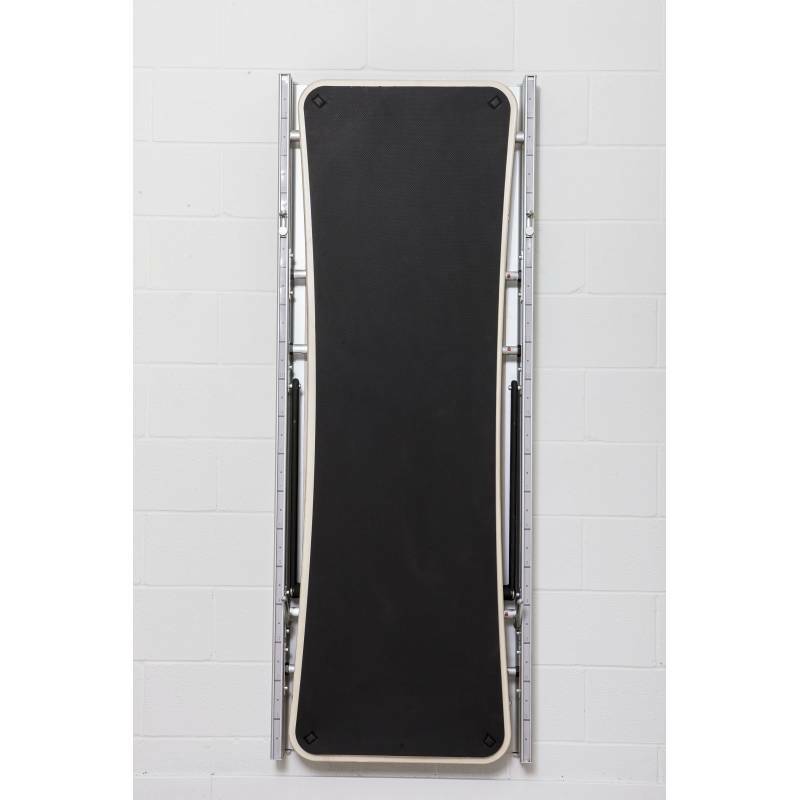 This platform is easy to store and clean, and its anti-slip mat can be putted and removed simply. BAR OF BALLET: cylindrical piece of wood that allows making muscle-building exercises and helps to the correct placement of posture. BELT: element that can be used to perform work in suspension. 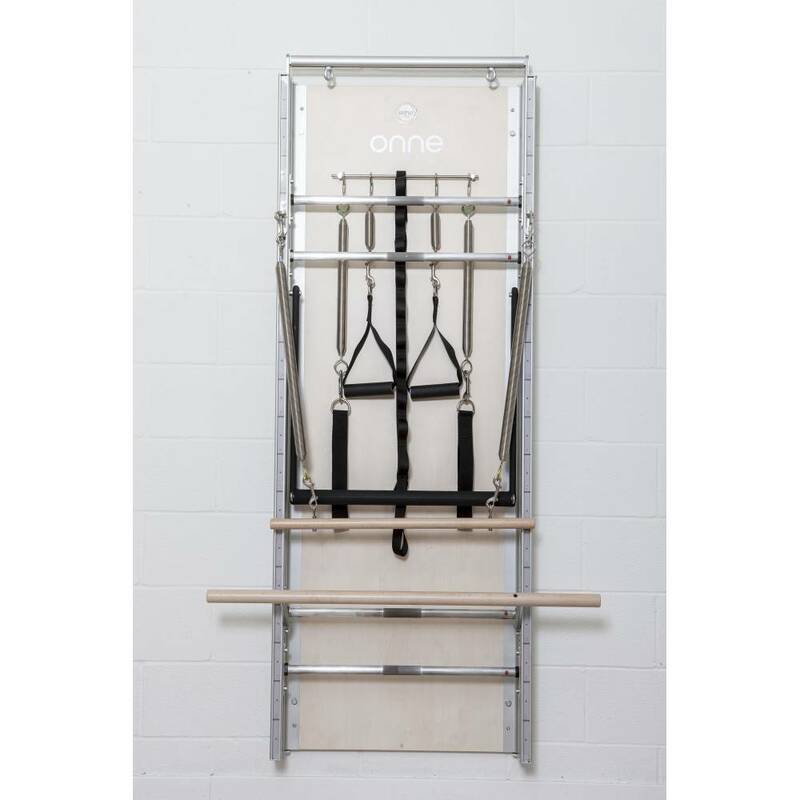 The ONNE Wall Board, manufactured with the best materials and the characteristic quality of Elina Pilate’s products, is a solution that saves space, providing the user with the possibility of performing countless exercises on a single machine. Wooden mat table with anti-slip mat and adjustable support. Ballet bar adjustable in height. Hanger for springs and accessories. Complete Set of springs (2 light lengths + 2 medium shorts + 2 small ones). Complete Set of grips (handles and padded handles). Measures: 68.5 cm. x 181.5 cm x 16.5 cm. BASIC: without ballet bar and without mat table. FULL EQUIP: with ballet bar and mat table.